New Delhi: Calling upon the automobile manufacturers, realty firms and airlines to reduce prices, Finance Minister P. Chidambaram has promised to consider excise duty cut for the sectors which are facing the heat of global financial meltdown. “Hotels must cut tariffs, airlines must cut prices, real estate must cut rates of apartments and homes they sell, car makers and two-wheeler makers must cut prices," he said, while addressing industrialists at the Indian Economic Summit being organised by the World Economic Forum and the CII here. The minister also promised to examine the possibility of excise duty cut if required. 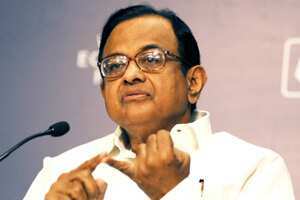 “Any sector faces problem, I am open to examining suggestions on cut in excise duty rates," Chidambaram said. He said that India will record satisfactory growth in the current fiscal and the Gross Domestic Product (GDP) growth rate will bounce back during the next year. Responding to the suggestion of Chidambaram to lower rates to generate demand, CII president K.V. Kamath said that industry would cut prices. “Price cut is an initiative that industry will take. I think this is going to happen," Kamath, CII chief and managing director of the largest private sector lender ICICI Bank, said. While pointing out that the time-tested response to demand slowdown has been to cut prices, Chidambaram said: “That is a much better option than allowing inventories to build up, non-performing assets (NPAs), lay off and retrenchment and digging a deeper hole." As profit and loss accounts will take a hit, he said: “It is much better to keep your market share, keep your loyal workers with you, taking a price cut." Referring to the external sector, the Minister admitted: “There is pressure on the rupee but once the flow is reversed, as we believe it will, it is quite possible that the rupee will climb upwards." “At the moment, there is a huge demand for dollars mainly coming from oil companies and others who have to meet the payment obligations. But it is quite possible that in a month or two that the direction of flows can reverse and the rupee will settle at a appropriate level," he said. Pointing out that this was not the first time that industrialised countries are going through recession, Chidambaram said: “This recession, of course, threatens to be a longer and deeper recession affecting more industrialised countries and we, in India, are experiencing the spillover effects of what is happening in the advanced countries." The Finance Minister said: “We are not the cause of the problem, but we are being invited to be a part of the solution to the problem." As regards India, he said: “The monsoon has been good. Farmers are busy with their work, they don’t look at the Sensex, or the Nifty, everyday. We will have a very substantial bumper crop." The services sector is mainly driven by millions of small and medium enterprises, he said, adding: “They are facing some liquidity problem. We are determined to ensure that they are provided adequate liquidity so that they can carry on their work, their business until we tide over the crisis". Pointing out that financial sector and large industries are indeed facing problems, he said: “We are extremely vigilant. We have been proactive. In fact, in the last 60 days both the government and the RBI have moved swiftly to take steps that will ensure adequate liquidity for industry." However, he added that providing more liquidity alone was not enough. “Providing liquidity is only the first step. The second is ensuring appropriate price and the third step is ensuring that credit is actually delivered to industry, these are not insurmountable problems," he said.